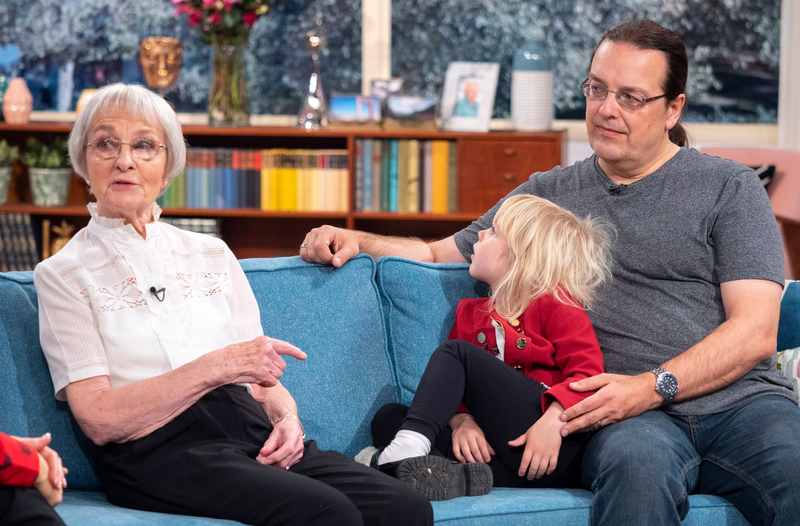 Viewers were left in tears last night after witnessing a very emotional moment on Channel 4's Old People's Home for Four Year Olds. The new show is a social experiment being conducted by Channel 4, which saw youngsters being relocated to a temporary nursery set up at Lark Hill Village, Nottingham, home to over 400 old age pensioners. 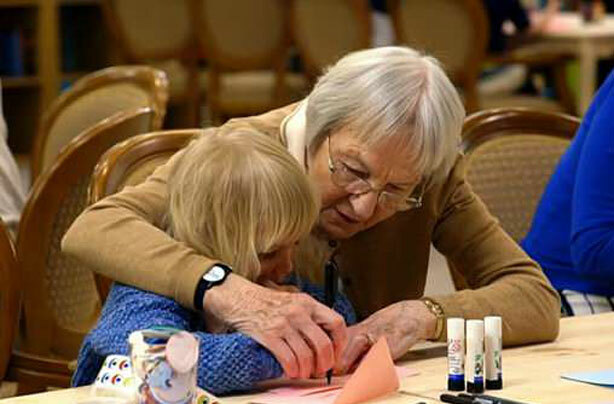 While the entire programme was filled with sweet moments of little ones interacting with their new older neighbours, one heart wrenching story really tipped viewers over the edge. 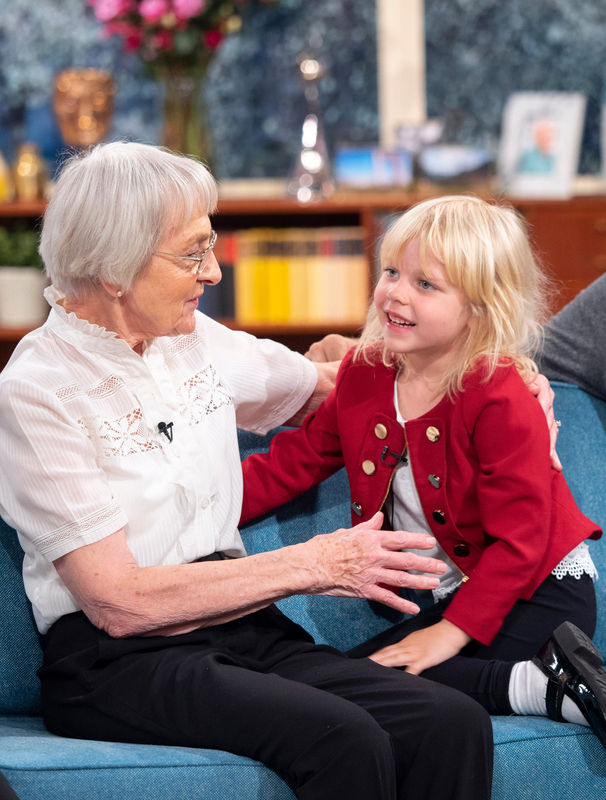 During a task aimed at getting youngsters and pensioners to get to know each other better, nursery teacher Libby asked Beryl, 86, to help four-year-old Scarlett write a party invitation ‘to her Mummy and Daddy’. Scarlett’s mum was diagnosed with breast cancer in 2015, and was told on her wedding day to Scarlett’s dad Tim Pollard, a year later, that the cancer had spread to her brain. She died just six months before Scarlett was due to start the social experiment but dad Tim decided that it would be good for her to still go ahead with it. Scarlett’s story made viewers sob up and down the country, as many revealed on Twitter. One wrote: ‘Oh poor Scarlett … imagine losing your mum so young but what an amazing man Tim is #OldPeoplesHome4YO’. Another said: ‘Na I can’t stop crying oh my god. Poor little angel, my heart is in bits for Scarlett #oldpeopleshome4yo’. A third tweeted: ‘Beautiful Scarlet is so wise beyond her years, a reminder to us all working with children not to assume a little ones family situation because you don’t know what they’ve been through in their short lives #oldpeopleshome4yo’. But Scarlett’s story wasn’t the only story that touched people’s hearts. Victor, a war veteran, confessed he couldn’t dance with anyone else since his wife passed because ‘nobody could compare’ to her. He said, explaining why he was choosing to dance alone: ‘I love the music and the rhythm, but I can’t dance with anyone because we just don’t fit right. Did you watch Old People’s Home for Four Year Olds? What was your favourite moment? Head over to our Facebook page and let us know in the comments!